Rewinder machine is used to rewind small DTY bobbins to large one, maximum capacity 8kg in all the DTY workshops in order to increase the percentage of A grade bobbins and also improve the efficiency of downstream process. FK6 serial takeup systems and cam boxes, such as bobbin frame, cam shaft, traverse guide and so on to guarantee good package build and excellent unwinding property with synchronized anti-pattern and edge breaking system under the control of inverters. - Package weight: up to 8kg. 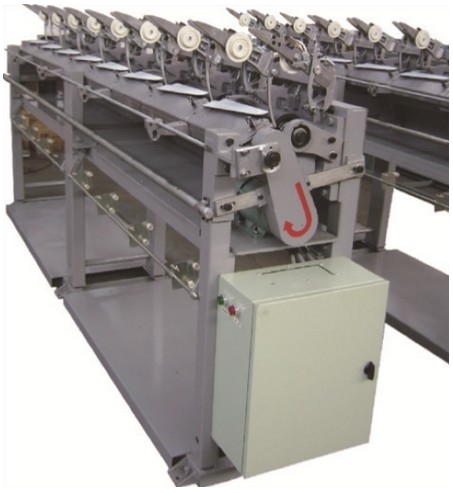 Oiling system, intermingling device, length measuring system, two plied yarn device (equipped with creels, yarn sensors/cutters, length measuring system).